A new rumor started by Wendeen Eolis of pokerplayernewspaper.com, followed by a twitter-tease by DiamondFlush has the poker world’s expectations running high that the long-awaited deal that will see PokerStars purchase Full Tilt Poker via the US Department of Justice will be announced possibly as soon as Monday. However, there have been plenty of voices trying to throw cold-water on the parade, pointing out that we’ve seen this story before: In this column I’ll take a look at the timeline from Black Friday to now that Full Tilt Poker has taken on this wild, strange, journey from being the #2 online poker site in the world to an offline, virtually bankrupt, company accused of running a Ponzi scheme. The first red flag regarding Full Tilt Poker was their failure to pay US players in a timely manner after Black Friday. PokerStars wasted little time in settling-up with US players, while Full Tilt poker used stalling tactics to delay the process. Shortly after it became apparent that FTP wasn’t going to be able to repay US players anytime soon, rumors of mystery investors began to swirl. These rumors all ended up being for naught, and Full Tilt’s problems simply continued to gradually increase. In June of 2011 the AGCC decided that Full Tilt Poker was in too much financial turmoil to allow them to remain online. By suspending FTP’s license the AGCC took the site offline, leaving US and players from around the world with no access to their FTP money. Rumors were building of a potential buyer for FTP during the run-up to the site being taken offline by the AGCC, and after this occurred we learned of the Groupe Bernard Tapie’s intentions to buy Full Tilt Poker. 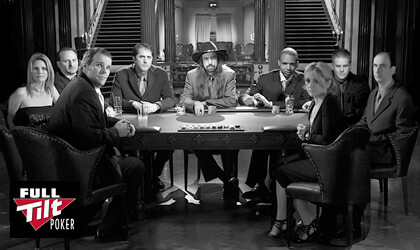 The Tapies would prove to be an enigma for the poker world, constantly updating their progress along the way but always with caveats about the work still to be done –in the end they proved to be a Trojan Horse, and would have seen some players’ money locked-up on FTP for years to come had they gotten their way. The final nail in the coffin for Full Tilt Poker was when the AGCC officially pulled their license in September of 2011, taking away any possibility that the site could return to offering raked games during the run-up to a potential sale. The AGCC’s decision was basically a vote of no-confidence in the current FTP regime. While a potential deal was being discussed, the US DOJ unsealed even more indictments against Full Tilt Poker, naming Howard Lederer, Rafe Furst and Chris Ferguson, as well as releasing details regarding the financials of these men and how Full Tilt Poker created a shortfall of some $330 million while doling out dividend payments of over $400 million to their owners. It was these revelations that fist saw the term Ponzi scheme used to describe Full Tilt Poker. Nearly a year after Black Friday the poker world learned that their hopes of a sale, which rested entirely on GBT, were finished. But, on the same day they also learned that a new player had entered the negotiations, a player they were very familiar with, PokerStars. Even though there have been scant official details regarding the deal being struck between PokerStars and the US DOJ, there have been plenty of anonymous sources and leaked information, and the latest bit that found its way to the Internet on Friday is pointing to a major announcement Monday, which we will be sure to keep you abreast of.